This Act has been in existence since 2011 and as of 7 October 2016 has now come into operation. provides a central repository for governance documentation relating to all the Schemes in the country and to allow public access thereto, either electronically or by other means. The current Administration of the Scheme is run from offices in Sandton, Johannesburg. There are three provincial offices established i.e. one in Gauteng to address matters in Gauteng, Limpopo and North West; one in Kwa-Zulu Natal to deal with matters in Kwa-Zula Natal, the Free State and Mpumalanga; and one in the Western Cape which deals with matters within the Western Cape, Eastern Cape and Northern Cape. A remarkable aspect of this Ombud Service is that, apart from the original R40 million allocated by the government to establish the body, it seems intended that it be largely self-funded. It will charge each member of a scheme falling under its jurisdiction a maximum of R40.00 per month. The actual amount will be “the lesser of R40.00 or 2% of the amount by which the monthly levy charged by the Scheme exceeds R500.00.” Units with monthly levies of R500.00 per unit or less are therefore entitled to a 100% waiver. Once the levy payable exceeds R2 500.00 the fee will be capped at R40.00. The Ombud Service will also charge for providing its specific services, as set out below. Its financial affairs however remain subject to oversight and scrutiny in terms of the Public Finance Management Act. Section 38 of the Act deals with “Applications”. This is where it starts dealing with the procedure to be followed in the event that you are party to a dispute that you wish to have adjudicated by the Ombud Service. The Act also sets out examples of the relief that you can ask the service to grant. This gives insight into what it is that the service can do. There are 8 categories. The first set of examples relate to financial issues and envisages the situation where a member of a Scheme is unhappy with the insurance arrangements which the Scheme has taken out on their behalf. It also envisages the situation where the Scheme is not managing the finances properly. It contemplates a person seeking an order in terms of which the Scheme must have its finances audited, or must pay or refund a members contribution “or any other amount”, or requiring a tenant of an owner to pay the rental directly to the Scheme in part settlement of the owners debt. That the Ombud will have the power to force a body corporate or homeowners association to pay or refund a member indicates that members will have the widest scope to challenge levies or penalties imposed by the Association. This could cause chaos to the administration of the Scheme, if improperly handled by the Ombud Service. The second set of examples relates to behavioural issues and deals with nuisance, animals and misconduct relating to the illegal placement or attachment of any article to any property controlled by the Scheme. The third set of examples relates to compelling the Scheme to create new rules of governance or to set aside existing rules if they are unreasonable or unfair. The fourth set of examples relates to the convening of meetings or a declaration that a meeting that has already been held was not validly convened or that any resolution passed at such a meeting was void or invalid or unreasonable. The fifth set of examples relates to disputes between the Scheme and its managing agents and the Ombud Service will have the power to confirm the termination of managing agent’s contract. The seventh and final set of examples relates to the wrongful withholding of information or documentation and the Ombud Service will have the power to order a Scheme to make such information or documentation available. There are also time limits for certain types of applications, although they are not set in stone. If a person seeks an order declaring a decision of an association to be void such an application needs to be made within 60 days after the decision has been taken. This period can only be extended by the Ombud Service “on good cause shown”. There are no time limits for other types of claims so it could be assumed that the ordinary laws of prescription will apply there. Once a person has successfully lodged an application, the Ombud Service is obliged to give notice of the application to all affected parties and they are invited to make their own written submissions. The applicant then gets the right of reply to issues raised by the affected parties in their replying papers only. The first stage of the dispute resolution process is conciliation. This is where the parties are encouraged by a Conciliator to come to an agreement themselves. If this is unsuccessful the matter is referred to an adjudicator and the parties have the opportunity to agree on who that adjudicator should be. If the parties can’t agree, the adjudicator is appointed by the Ombud Service. The fees of this adjudicator have to be secured in advance by the parties. According to the Regulations of the Act, the fee payable at application is R50.00 while the fee payable for Adjudication is R100.00. A copy of any scheme governance documents or any other document obtained electronically or provided as hard copy by the Service will be charged at R8.00 per copy. The process which the adjudicator follows will be of an inquisitorial nature, unlike the adversarial process in our courts at present, where the judge or magistrate sits back and allows the parties to present their cases as they see fit. The adjudicators of the Ombud Service will play an active part in the adjudication process. The Act provides that they must observe the principles of due process of law but that they must also act quickly and with as little formality and technicality as is consistent with the proper consideration of the matter. The powers of the adjudicator extend to calling other people in to give evidence which might be relevant, calling for other information or documentation and inspecting assets, records documents or places. As regards legal representation, the point of departure is that the parties to the dispute are not entitled to legal representation during the adjudication process, unless everybody agrees otherwise or if the adjudicator allows such representation, after considering the questions of law which will be raised, the complexity and importance of the dispute or the comparative ability of the parties to represent themselves. These provisions will however not prevent any party to the dispute having their initial submissions to the adjudicator prepared by their legal representatives. An adjudicator is able to dismiss an application if it is frivolous, vexatious, misconceived or without substance, or if they have been procedural irregularities. If an adjudicator makes an award against one of the parties the adjudicator can make the losing party pay the successful party’s costs, to compensate him for losses relating to the application. The award of an adjudicator is subject to a limited right of appeal. A person can only appeal on points of law. This appeal must be made to the High Court and must be made within 30 days after delivery of the order. What this means is that the findings of fact that are made by the adjudicator will not be able to be overturned on appeal. It is only if the adjudicator has incorrectly applied the law to the facts, as accepted by the adjudicator, that there will be a right of appeal. Any order for payment of an amount of money will be treated as if it is an order of court. There is no jurisdictional limit to the size of the award that an adjudicator can make. The final portion of the Act obliges every Scheme which falls under the jurisdiction of this Act to pay an annual levy to the Ombud Service. In terms of Chapter three of the regulations of the Act, the levy formula is such that each unit shall be liable for “the lesser of R40.00 or 2% of the amount by which the monthly levy charged by the Scheme exceeds R500.00.” Units with monthly scheme levies of R500.00 per unit or less are therefore entitled to a 100% waiver. These levies are payable by the Scheme to the Ombud quarterly and shall be collected as of 7 January 2017 – as per the regulations, 90 days after proclamation. As you might be aware, Body Corporates of Sectional Title Complexes are permitted, if financial circumstances require, to raise special once-off levies. This is normally done if urgent repairs or refurbishment is required and where the Body Corporate’s savings are either non-existent or insufficient to cover the anticipated cost. 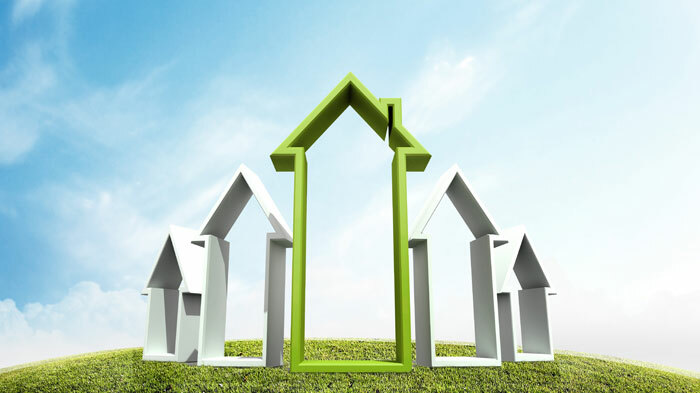 The special levies were catered for in the Sectional Titles Act of 1986 (the Old Act) and are now catered for in a new act called the Sectional Title Schemes Management Act, 2011 (the New Act). Although this act was created in 2011, it has only now, in October of 2016, become effective. “Any special contribution becomes due on the passing of a resolution in this regard by the trustees of the body corporate levying such contribution and may be recovered by the body corporate by an application to an ombud from the persons who were owners of units at the time when such resolution was passed”. Our interpretation of the above section is that it will only apply if the special levy is payable over a fixed period of monthly instalments. This is often, but not always, the case. In circumstances where the special levy is payable in one lump sum immediately, it would not be possible to calculate a “pro-rata” portion as such a calculation is only possible if a beginning and an end date is known. It is also our opinion that the Body Corporate is not merely entitled to apply the pro-rata principle but in fact obliged to do so if the monthly instalment arrangement applies. Whether this latter opinion is correct or not, remains to be seen as the section is not entirely clear in this regard. There is, in other words, a school of thought which argues that the Body Corporate is entitled, but not necessarily obliged, to apply the pro-rata principle. Therefore and by way of example let us assume that a sectional title unit is sold on say the 1st November 2016 and a special levy of R30 000.00 is raised on the 2nd November 2016 which is payable over 12 monthly instalments commencing on the 1st December 2016. Let us assume further that the transfer to the purchaser is registered on the 1st February 2017 and that the purchaser was obliged and did accordingly take occupation on the 1st February 2017. It is our opinion that the “proviso” in Section 3(3) means that the Body Corporate is only entitled to recover 2/12 of the levy from the seller and the balance of 10/12 from the purchaser. In other words it is our view that the Body Corporate cannot, as a condition for issue of a Levies Clearance Certificate for transfer, insist that the whole levy be paid which, until now, has been the practice based on the Old Act. In other words, Body Corporates who might have allowed the seller to pay the special levy off in instalments were obliged to withdraw the instalment right and insist on full payment as the Body Corporate had no power to recover that levy from the purchaser after transfer. The New Act changes this of course. Having said the above, we need to make it clear that the abovementioned provision in the New Act regulates the relationship between the Body Corporate on the one hand and the seller and the purchaser on the other hand. It does not regulate the relationship between the seller and the purchaser. That relationship is regulated by the terms of the sale agreement concluded between them. The terms of the sale agreement can accordingly change the effect of Section 3(3) and shift the burden of the instalment based special levy in one direction or another. That does not mean that the Body Corporate will be affected by this shift in burden. This shift will only affect the obligations of the seller and/or the purchaser to one another. The Body Corporate will continue to have the same rights as provided for in the section. Most sale agreements address the matter of levies in some or other fashion and accordingly special levies also. Some sale agreements stipulate that the purchaser becomes liable for all levies from date of occupation of the property (if occupation occurs before transfer) and some sale agreement stipulate for such obligation to vest when transfer occurs. In terms of our example, as stated above, let us assume that the sale agreement stipulated that the purchaser is only liable for levies raised after the date of transfer. In terms of the Old Act and using the same example, we would have advised the seller that even though the levy could be paid off in twelve instalments, it became a lawful obligation to pay on the 2nd November 2016 and accordingly falls in its entirety on the shoulders of the seller. This advice would have been consistent with the behaviour of the Body Corporate which would have insisted upon full payment of the whole special levy as a condition of issue of a levies clearance for transfer. (In this regard see the previous paragraph). The seller would accordingly be obliged to pay the entire levy to the Body Corporate even though the Body Corporate has the right to recover part of it from the purchaser. In the light of Section 3(3) the above result is not likely to be particularly welcomed by the seller. The seller will, in other words, argue that if the Act allows and obliges the Body Corporate to recover the special levy pro rata, it is unfair and improper for the sale agreement to oblige him to pay the whole amount. The seller will accordingly turn his guns onto the person who prepared the sale agreement, in other words, in most cases, the estate agent. Estate agents should of course be alert to the existence of special levies which are being paid off in monthly instalments and should inform purchasers of the obligation which they will inherit. Purchasers should of course be alert to the same danger and make sure that proper enquiries are made about this issue before they purchase. In this regard we trust that it is clear that if the purchaser does not wish to inherit the obligation to continue with payments of the special levy and if the purchaser expects the seller to settle the entire levy amount, that issue should be addressed in the sale agreement and our recommended clause, as stated above, appropriately amended. So you have found your dream home and now, in order to finance it, you approach a bank or other financial institution or originator to obtain a bond over the property. Many consumers are not aware that they have a choice between having a bond repayment term of twenty or thirty years. Whether or not the 30-year repayment term is a good thing, is still a highly debated issue. The 30-year repayment term will be enticing to consumers who either want to save on a monthly repayment or who want to buy a home that is more expensive than what they can afford on a 20-year repayment term. It is especially the younger, first time home buyer who find this option appealing as it has a lower monthly instalment. For the sake of convenience, I will use a purchase price of R2 million. If a prospective buyer obtains a 100% loan at 10,5 % interest over 20 years, he will have a bond repayment of R 19 967.60 and would have paid back a total amount of R4 792 223.46 over the 20 years. If, however, he had taken a bond on the same interest rate over 30 years, his bond repayment would have been R18 294.79 (only saving him R1 672.81) and the total amount that he would have repaid over the 30 years would be R 6 586 122.92, this an astonishing R1 793 899.46 more than under the 20 year repayment term. This translates to a whopping 37.4% more in total. While consumers may be tempted to opt for the 30-year option and the lower repayment, they must carefully consider the impact on their financial health. As per the example above, paying an extra R1 793 899.46 is in no one’s best interest and should be avoided at all costs. Consumers often opt for the 30-year repayment term when they want to purchase a home which is technically out of their financial reach. As per the example above, say the consumer has roughly R20 000 per month to spend on his bond, he has the option to purchase the R 2 million property and repay it over the 20-year period or he could purchase a property of R 2 180 000.00 over the 30 year period. This does seem enticing but buying a larger home than you can technically afford also translates into higher additional expenses such as the water, electricity, maintenance and insurance. Consumers must consider factors such as their current age and the age they will be when paying off the bond as well as variables such as hikes in interest rates and fluctuations in our economy. It should be a priority to every consumer to pay off their bond as soon as possible. Paying more than the minimum into your bond account is the best way to pay it off faster and to avoid paying interest. Make additional payments whenever you are in a position to do so by using your bonus at work, “no claim bonus” from your insurance or medical fund and any tax refunds. Some of you may know that new legislation regarding Sectional Titles has been on the cards for a while. We can now advise you that the new Sectional Title Schemes Management Act (STSMA) 2011 came into operation on 7 October 2016. Basically, this Act takes all the management, governance and rules provisions out of the old Sectional Titles Act, 1986 and paraphrases most of the current management practice in a short new Act of twenty sections. Trustees and Sectional Title administrators should note that the Regulations to the Act provide for a mandatory Maintenance plan and compulsory reserve fund and they will have to analyse the new act and its regulations, which are not identical to the previous 1986 Act. For most of our clients, the new STSM Act does not make many fundamental changes to how a sectional titles scheme is run. The previous 1986 Act continues to deal with mainly the conveyancing side of Sectional Titles. The STSMA has come into being parallel with another piece of legislation, creating a so-called third generation system of law governing not only Sectional Title schemes but also other community schemes like Home Owners Associations. This legislation is called the Community Schemes Ombud Service Act, 2011 which also came into operation on 7 October 2016 and creates the office of an Ombud to deal with community scheme dispute resolution, amongst other things. See our website for further information. Until now, members of Sectional Title schemes had to use the rather clunky Arbitration provisions of Rule 71, or approach the High Court to resolve disputes. This is inherently expensive. It is hoped that the Ombud service will afford sectional title owners affordable justice. Relatively small fees are payable to apply to the Ombud and conciliation is the preferred method of resolution before the Ombud has to adjudicate on a matter. As with all new legislation, Sectional Title practitioners will have to get use to these two new Acts. To challenge your compliance status if you disagree with it. Follow the links at the top of the page to “How to Request Your Tax Compliance Status” (for when you need proof of compliance or a tax clearance certificate) and to “How to Verify Tax Compliance Status” (for when you need to authorise a third party to view your proof of compliance or tax clearance certificate). SELLING A PROPERTY? CHECK FOR VAT BEFORE YOU SIGN! It’s an easy mistake to make, and a recent High Court case shows just how costly it can be. DIVORCE MAINTENANCE: CAN YOU CONTRACT OUT OF IT? Generally, our laws hold us to the agreements we make with each other, but there are limits. A recent High Court judgment, dealing with a bitterly-fought divorce dispute, illustrates. A Senior Advocate, having been through in his words a “very, very, very costly” divorce once, and having in mind no doubt the old proverb “once bitten, twice shy”, decided not to be bitten again when he re-married. His new wife was a much younger “attractive trophy” wife who at the time was, said the Court, both gullible and naïve. Seeking to protect his wealth from this second wife in the event of another divorce, the husband included in their ANC (Ante nuptial Contract) a provision that, in return for certain donations at the time of marriage, she was precluded from claiming maintenance for herself. The prohibition against maintenance for the wife was widely worded – it would apply in the event of the marriage being dissolved in whatever manner and for whatever reason, and regardless of the conduct of the parties. No attempt was made to prevent any maintenance award for any dependent children born of the intended marriage. The wife was heavily pregnant at the time and she was “prevailed upon by the husband to accept this clause and to believe him when he said that he wanted to be a father to their child that was to be born”. When the marriage broke down (24 years and 2 children later), the husband sought to enforce the terms of the ANC, including the “no maintenance” clause. The Court however awarded her the personal maintenance she asked for – R30,000 per month plus free accommodation. The “no maintenance” clause, held the Court, was unreasonable, unfair, void and unenforceable. It “deeply offends the core constitutional values of this country” said the Court, and “generally any purported ouster of the jurisdiction of the Court which deprives a party of a legal right or remedy is per se against public policy”. That, incidentally, was only part of the wife’s victory – the ANC incorporated the accrual system, and she also received a full half of the husband’s estimated R22m in assets in terms thereof. This despite his denials that his estate had shown any accrual and despite what the Court found to have been active attempts on his part to subvert the wife’s accrual claim and to conceal assets. How does the Constitutional Court’s new ruling on garnishee orders (more properly referred to as EAOs or Emoluments Attachment Orders) affect you? Who can issue EAOs? EAOs are court orders obliging a debtor’s employer to deduct amounts from his/her earnings and pay them over to the creditor. In the past, clerks of the court were able to issue them – a process which led to allegations of rubber-stamping in some local courts. Is it “just and equitable” for an EAO to be granted? Is the amount “appropriate?” The court will have to decide here what the debtor can afford to pay. Note that existing requirements including a 10 day registered-post warning to pay the debt, and proof that the debtor consented in writing to the issue of an order, remain in place. Which court? Where the NCA (National Credit Act) applies – which it will in most such cases – creditors can no longer choose courts far away from debtors. Only a court where the debtor lives or works will have jurisdiction, making it much easier for him/her to be heard in court. Existing orders: The changes are not retrospective and apply only from 13 September 2016, the date of the judgment. Therefore existing EAOs are valid, and payments already made to creditors under them are not affected. Lenders: Be even more careful than before when lending money to make sure that your debtors can pay you back. Incautious lenders will find that even loans not falling foul of the NCA’s reckless lending provisions will now be more difficult to recover. Debtors: If you have an existing EAO against your salary or wages, you can still challenge it in court on an individual basis. Employers: As said above, existing orders are still valid and must be complied with unless individually set aside – take advice in any doubt. Published under Government Notice R598 in Government Gazette 37885 of 1 August 2014. Species which must be combatted or eradicated. Species which must be controlled. Species which require a permit. If a permit-holder sells a specimen of an alien or listed invasive species, or sells the property on which a specimen of an alien or listed invasive species is under the permit-holder’s control, the new owner of such specimen or such property must apply for a permit in terms of Chapter 7 of the Act. The new permit-holder contemplated in sub-regulation (1) will be subject to the same conditions as the permit-holder who has sold the specimen of an alien or listed invasive species, or the property on which a specimen of an alien or listed invasive species occurs, unless specific circumstances require all such permit conditions to be revised, in which case full reasons must be giving in writing by the issuing authority.